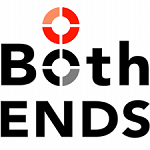 Both ENDS is an independent NGO in the Netherlands that strives for a more sustainable and fairer world by supporting organizations in developing countries to fight poverty and work towards sustainable environmental management. Both ENDS works in the themes of climate, water, land, and capital. Activities include advocacy and campaigning; policy to promote sustainable development; training and capacity building; and support of development projects and special projects. Joke Waller-Hunter Initiative. The Joke Waller-Hunter Initiative (JWH Initiative) makes grants to stimulate leadership of young people in civil society organizations that have agendas related to environment. The program supports young women and men (preferably less than age 35) who work for or are affiliated with environmental civil society organizations in developing and emerging economies. Grants can be applied for a wide range of activities that depend on the individuals’ needs and interests, e.g., studies, courses, training, internships, exchange travel, participation in conferences and meetings, etc. Grants are up to €7 thousand. APPLICATION: Nominators submit a completed nomination form, along with supporting materials, before a calendar deadline. The nominations (in English) are sent by email to the designated coordinator at Both ENDS. Both ENDS grew from an initiative in 1986 of 15 Dutch environmental organizations concerned with the challenges faced by environmental organizations in the developing world. In response, they created Both ENDS (ENvironment and Development Service). Partners at Both ENDS include networks as well as individual organizations. Both ENDS posts profiles of JWH grantees. The profiles illustrate the types of candidates who are able to obtain support. The JWH Initiative provides contact information.